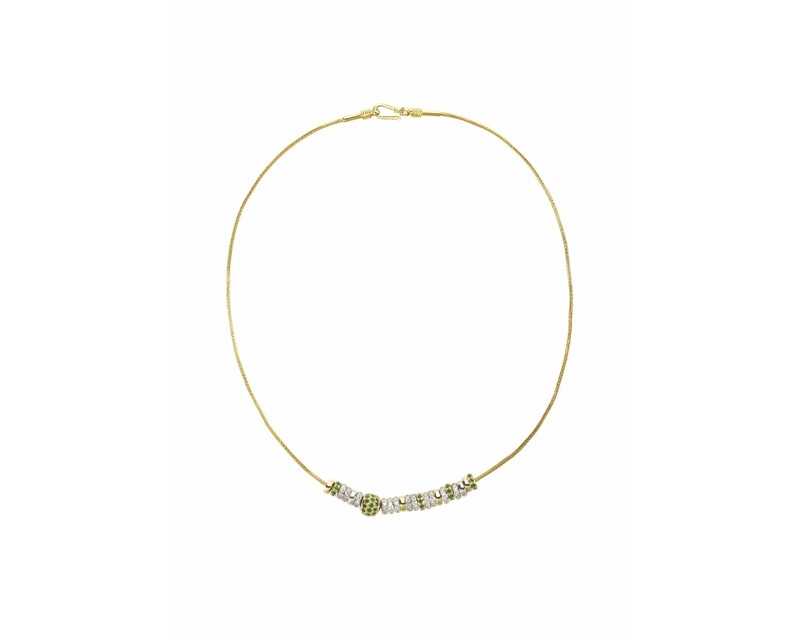 1 emerald ball, diamond roundels, emerald roundels, 18ct solid yellow gold & 18ct solid white gold roundels on an 18ct woven yellow gold chain. 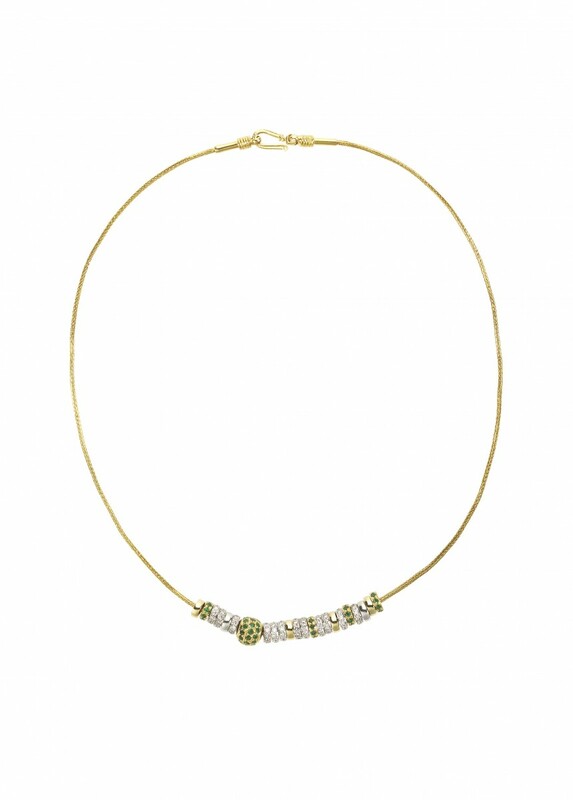 This extraordinarily glamorous shimmering roundel & emerald ball roundel necklace is unique and part of our stunning roundel collection. The emerald ball is set in 18ct yellow gold. The diamond roundels are pave set in 18ct white gold. The emerald roundels are set in 18ct yellow gold. They are accompanied by some solid gold roundels in 18ct white and 18ct yellow gold. 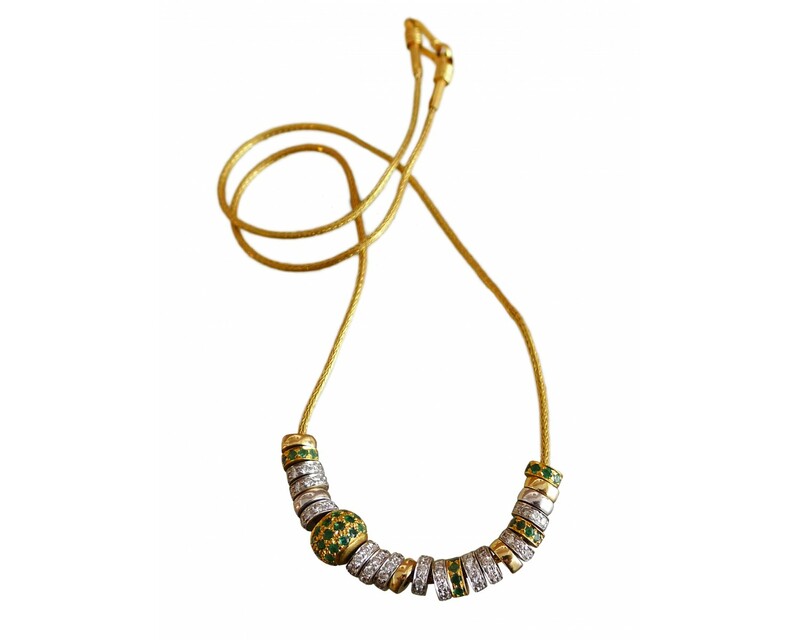 All on an 18ct woven yellow gold thin snake chain handcrafted in India.